Yesterday I went to see “Shazam” with my nephew and I really enjoyed myself, although it didn’t excite me as much as other Marvel movies have done in the past. It’s a sweet, fun movie that feels aimed towards 12-16 year olds, with a charming actors and great dialogue. The movie’s first part felt a bit slow, since it began with Sivana’s story and motive, then continued with the main character introduction and set up. But once Billy becomes Shazam, things get fun and entertaining. The script did a great job in portraying the life of a teenager (or so it seems), from his reactions to the near-perfect dialogue between Billy and Freddie, which was actually one of the strong points of the film. And whilst writing is important, the reason why it worked so well was the actor performance. Zachary Levi felt to me like a perfect cast for the 14-year-old trapped in the body of a 30 year old (?). Although, now that I think about it, adult Billy/Shazam was definitely funnier and goofier than younger Billy, but let’s put that on experience level (Asher Angel has way less experience than Zachary, just in terms of years of performing). Levi really committed to the part and I loved his performance. I’m curious to see how he stacks up next to other DC characters. He’ll banter with Aquaman and definitely with Flash, but with Superman and Batman, or even Wonder Woman? That will be interesting. 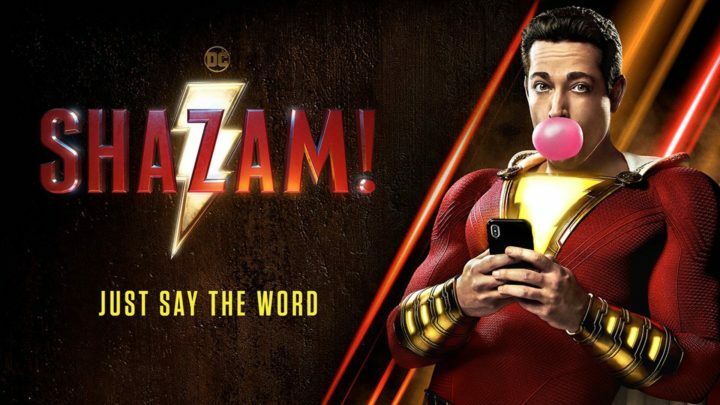 So, in the end, Shazam is a sweet, entertaining movie, that you should definitely take your kids/nephews/nieces to see it. You will enjoy it, too. Not in the same league as Marvel, but pretty close. Great review! I’m going to see this today with my son, I’m hoping we have a good time too. You should definitely watch It. He’s pretty damn funny in that movie as well. I totally didn’t expect the other foster kids to turn into super heroes either, it was so cool! Honestly, I really loved Shazam!, but I think my expectations were so low going in that I was bound to at least enjoy it. I need to see more of Zachary Levi, he was really funny and I think this is the only thing I’ve seen him in so far. Glad you liked it! Levi was also great in Chuck, similar type of humor, but he was much younger in that TV show. Funny info: Levi was also in Thor, he was one of Thor’s Asgaard friend / warrior. Yeah, will probably do….I need to get over my Horror ban :)) Thanks!